Nothing fulfills like earning a living from caring about other people… that is both exciting and challenging. Whether your employer requires you to learn life-saving skills or you are simply out to learn new skills, now is the time to consider becoming a Nurse Assistant (commonly referred to as CNA in most states). As a CNA, you will be an important player in the world of healthcare, with priceless knowledge and skills that are in constant demand. 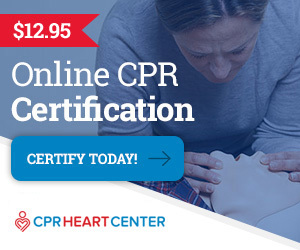 GatorCPR is a premier CNA and CPR training provider that prepares individuals with skills and experience needed to become a certified Nurse Assistant that provides professional care for patients in hospitals, long-term care facilities, hospice and home health care settings, as well as in emergency situations. GatorCPR is one of the best CNA and CPR training providers in Florida. They focus on providing high-quality training at budget-friendly rates and are flexible enough to accommodate students with busy schedules. They collaborate with the American Heart Association to provide all aspects of training. GatorCPR offers governments, businesses, churches, military, schools and colleges, and hospitals complete BLS, CPR, ACLS/PALS training at either their location or clients. 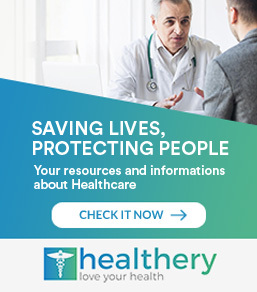 There are many ways to start a career in the healthcare industry, and of the best options is getting a certification as a nursing assistant. GatorCNA is dedicated to helping their students pass the Florida State Nursing Assistant exam. This fast-paced prep class is designed to training people to take, and pass, the state certification exam. They do not train students to be CNAs, but rather pass the state exam. Every student gets specified attention. They focus on the skills and written parts of the Florida state exam. In addition, they offer extra training opportunities for students who wish to practice skills before the scheduled test date. GatorCNA equips students with a hands-on approach to patient care. Students learn how to take patient’s vital signs, help patients with daily activities, and dress wounds among other skills. All of these help patients develop a strong rapport with their patient and support them emotionally as they go through difficult times. Nursing assistants are growing in demand as the population ages, and they are not only limited to working in hospital environments as they can also work in residential homes as well as nursing facilities. GatorCNA makes it easy for students to pass the Florida state examination on the way to their dream jobs. Additionally, it increases the students’ chances of climbing up the medical ladder. If you want to further your career in the medical field, consider CNA and CPR training as your stepping stone. CPR and CNA skills can help you save the lives of your family, friends, coworkers, or even strangers! 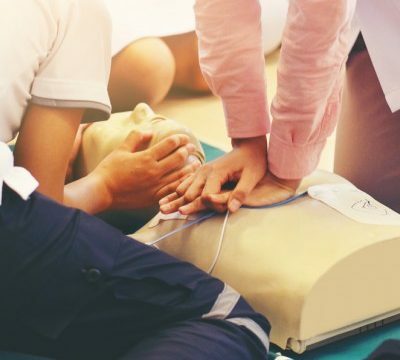 Administering proper first aid can make the difference between watching an individual die and helping them recover from a life-threatening situation like a heart attack or a choking incident. All the CNA and CPR lessons at Gator are insightful. They make sure that every lesson that has been discussed with the students is applied. They ensure that every lesson is understood before introducing students to new topics. This is GatorCPR’s way of ensuring that students get value for their time and money. Alongside class discussion, GatorCNA also offer one-on-one student evaluation to see if they have grasped the training or not. This evaluation also helps students cope up, especially those experiencing difficulties with the lessons. This is where their trainers explain in brief the specific topics that students are having difficulty. Most of GatorCNA training and GatorCPR training are tailored around practical lessons. Students are taught how to perform CPR correctly as well as how to check the patient’s vital signs. Most their practical lessons are adapted from the American Heart Association. Additionally, their trainers are AHA certified, thus giving students the assurance their the training is more than just ordinary. When a person collapses and their heart stops beating or slows down, they may be at risk of suffering a heart attack. CNA and CPR skills can mean the difference between life and death in such situations. Getting CNA and CPR preparation can equip you with the skills necessary to save a life in an emergency situation.